More than four decades ago a bushy-haired young man walked up to my desk at the Beacon Journal and introduced himself. He wanted me to know that he was running for the Fifth Ward council seat in downtown Akron. When he told me he was a Republican challenging a rough-cut drawling Democrat, Cliff Nicholson, I replied that he had no chance. State Sen. Joe Schiavoni announced a comprehensive plan to increase job growth and employment through targeted investments Tuesday. This legislative package is the latest in a series of bills the senator has introduced to improve Ohio’s small business climate and bolster job growth, a release from Schiavoni’s office said. Former U.S. Rep. Zack Space understands the dysfunction and the rigged game that is killing true democratic representation in Ohio, and America, and he is running for Ohio Auditor in 2018 to fight it, to fight for us. Space announced his candidacy for auditor Tuesday during a four-stop statewide tour, starting with an event in Martins Ferry and followed by events in Zanesville, Columbus, and Lima. This is the type of news that gives me hope. Shontel M. Brown is a young, smart, energetic leader with a background in small- to midsize business who will hopefully push the Cuyahoga County Democrats into a bright, new future. The Cuyahoga County Democrats have come a long way since the rule of boss Jimmy Dimora, who is serving a 28-year sentence on corruption charges. This key county for Democrats needs strong leadership, and there’s all the reason in the world to think they’ve found it in the 42-year-old Brown. As a charter sponsor, the Ohio Council of Community Schools had 50 schools receive an academic rating of zero last year, but now they will get a clean slate because of a loophole in state law. Another charter school sponsor, another controversy. We’ve heard this tune about unaccountability for profiteering charters nauseatingly often. Ohio’s Republican political leaders refuse to learn their lesson. Steve Dyer’s August 23 10th Period post drills down into dropout recovery regulations and concludes ECOT will have to manipulate enrollment to transition to a dropout recovery school. I wondered when this was coming. But apparently, the Electronic Classroom of Tomorrow — the most scandal-ridden charter school in the state that owes taxpayers $60 million in overpayments from just one year of instruction — now wants to be classified as a dropout recovery school. Both Ohio Democratic U.S. Sen. Sherrod Brown and Republican Gov. John Kasich got some national press attention this week. Brown focused on his work fighting to help workers. 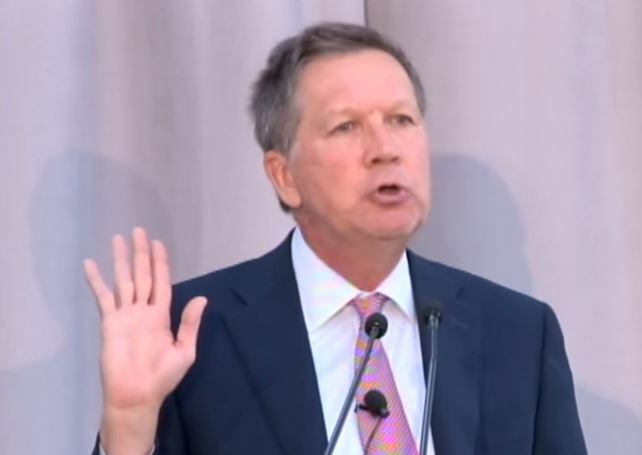 Kasich focused on politics, claiming he somehow doesn’t know what Democrats stand for. On NBC’s Meet the Press, Brown talked about how he is continuing his work to level the playing field for Ohio workers who haven’t seen their hard work reflected in their wages and benefits. Brown highlighted the need to restore the value of work for Ohioans. “Feel the Bern” was the war cry for supporters of Vermont’s senior Senator in Washington Bernie Sanders, a Democratic Socialist who, despite triggering a massive following in last year’s Democratic primary race, finished in second place to Hillary Clinton. “The problem with the Democrats, I can’t figure out what they’re for,” Ohio Gov. John Kasich said on national TV. Kasich, a term-limited, lame-duck governor, is desperately seeking life after his governorship ends at the end of next year and is working overtime to forge a following as he cements his reputation as a reliable critic of President Donald Trump after losing badly to the New York billionaire and reality TV star last year. 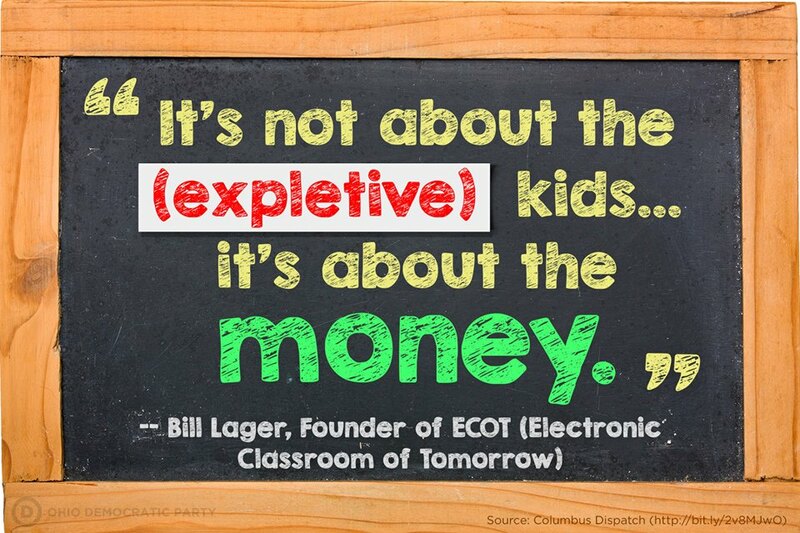 ECOT received $60 million in 2015-2016 with no documentation that students were being served. Had the state audited student enrollment compared to participation in all other years of ECOT’s existence, the total over-payment could be hundreds of millions. The state is facing a defining moment in charter transparency, accountability and QUALITY. If the state approves this maneuver it will send a signal that high quality in the charter business industry in not important to state officials. It would also signal that the interests of taxpayers are of little or no concern. The Associated Press is reporting that a group associated with the Ku Klux Klan is looking to hold a rally next month in the city of Wooster. A member of an Ohio-based white supremacist group affiliated with the Ku Klux Klan says his organization is recruiting members in Ohio and plans to hold a rally next month.